- The second fastest marathoner of all time at 2:03:42, Wilson Kipsang, talking about his and World Record holder Patrick Makau's World Record chase at the 2013 Berlin Marathon at the end of this month. Do you agree with the mentality "every little thing you do matters" running-wise? Running is my life, but I'm not even good at it. Mike Rodgers Wins 100 (9.97) As Justin Gatlin Is 3rd; David Oliver Ties Ryan Wilson With Dayron Robles 3rd In 110H, Dawn Harper Beat Sally Pearson In distance action, Caleb Mwangani won a fast 3000 in 7:35 with Will Leer 7th (7:39), Andrew Bumbalough 8th (7:40), Nick Willis 10th (7:40) David Torrence 11th (7:40) and Andrew Bayer 13th (7:43). Russia's Ekaterina Poistogova won the 800 in 1:59.30 with Caster Semenya back in 5th (2:00.74) and Shannon Rowbury 8th (2:02.64), Hiwot Ayalew beat Milcah Chemos in the steeple. 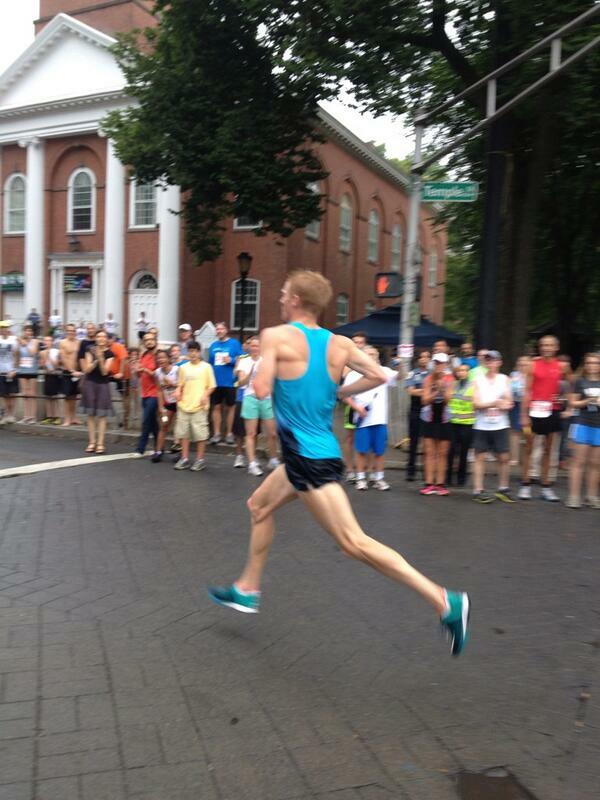 *Nick Willis' 7:40 Was A 4 Second PR Willis said, "My body and mind were in shock once I passed the 1200m mark. ... I hadn't done anything to prepare specifically for a race over a mile, so it felt like I was just hanging on for dear life." 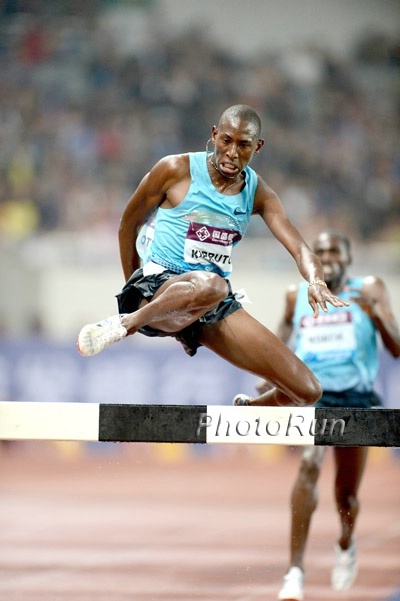 Kenenisa Bekele Hopes That His New Training Camp In Sululta, Ethiopia Will Be The Next Iten He wants runners from all over the World including "hobby joggers" to come train at his facilities. Mo Farah: "It'll be nice to continue that and be good at the marathon - but I don't know, we'll find out." Tuesday Was Malcolm Gladwell's 50th Bday: MB: Malcolm Gladwell has read Epstein's book - wonders why dopers are condemned for trying to overcome genetic disadvantages - Do Genetic Advantages Make Sports Unfair? Veronica Campbell-Brown Doping Hearing Doesn't Start Well - Jamaica Athletics And Anti-Doping Agency Were Totally Unprepared Campbell-Brown's attorney is the former Prime Minister of Jamaica. Competitor CEO Defends Decision To Drop All Elite Athlete Support - "We're a health and lifestyle company." For years, LRC wondered if it was going to be a problem that a hedge fund owned most of the biggest races in the US and now our nightmare is a reality. Tony Reavis Has Excellent Insight On CGI's Decision To Cancel Elite Athlete Program In case you were gone over the weekend, Competitor Group (the private equity owned group that owns the Rock N Roll Marathons, the Muddy Buddy Runs, and puts on the NFL Run Series) decided to effective immediately cancel its elite athlete program and not honoring appearance fees for upcoming races. A business decision that could impact the future of the sport of running. Reavis, with long ties to the Rock N Roll series, talks about why this was done with such haste (remember kids, if you want to know why something is done, follow the dollars). Sad day for the sport of running if this doesn't hurt CGI's bottom line. *Competitor ditching the elites is a blessing in disguise b/c I'm sick of watching our runners get paid to "race"
DecaNations: Nick Symmonds Keeps Winning, USA Wins, As Does Alysia Montano 1:49 and 2:00 for Symmonds and Montano as you see what happens when there are no rabbits. Amsterdam: Susan Kuijken Sets Dutch Record At 2,000m At Flame Games translate.google.com She beat Zoe Buckman among others. 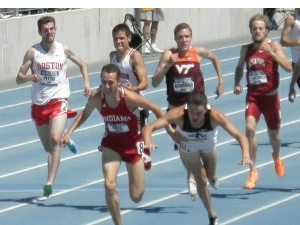 Ben True, Miles Batty, Ryan Hill in 1,500. Kerron Clement won the 400 in 46.70. Caster Semenya 2:04 and Phoebe Wright 2:04. Conspiracy Or Just Neurotic? President Of The Athletic Federation Of Nigeria Claims Blessing Okagbare Was The Victim Of "Russian Politics" At Worlds Claims that the Russians altered the schedule purposely to give their athlete the advantage in the LJ because they knew Okagbare was tripling 100-200-LJ. He even said that if she was American, it never would have happened. Not Kidding Anyone: NBA Star David Lee Says NBA Drug Testing Is "Very Thorough" And That No One Tests Positive Because Players Are Simply Staying Clean Meanwhile, players know that they're only tested 4 times a year and after the 4th test they can do whatever they want without fear of testing. NY Times Ethicist Makes An Interesting, Yet Flawed, Case Against The Use Of PEDs In Sports He feels that "there are no sound moral arguments against P.E.D.s," but there are "ethical" ones, so while there are no "logical" reason PEDs should be illegal, athletes shouldn't use them because it's the rules. Former USATF Head Doug Logan Continues To Argue That PEDs Should Be Legalized And Claims WADA Is Nowhere Close To Delivering A Drug-Free Sport Logan: "We should face facts over this drug issue. It is a war we are unable and unwilling to fight and that we have already lost. We selectively prosecute a token few while the majority of users get off scot free." *IAAF: 16 More Overall Diamond League Winners To Bed Decided In Brussels 9 events are already locked up, but the last 7 are up in the air. The men's 5000 will come down to Hagos Gebrhiwet and Yenew Alamirew, the women’s High Jump between World champ Svetlana Shkolina and Anna Chicherova and the women's steeplechase could be won by any 4 women. WR Holder Patrick Makau And 2nd Fastest Man Ever Wilson Kipsang To Team Up To Go After WR At The Berlin Marathon On September 29th They are serious about the record attempt with Kipsang even in brining along his own training partner as a pacer. 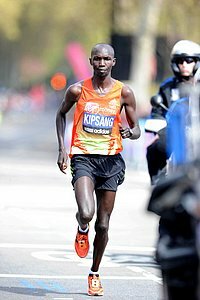 Kipsang said, "If the weather and other factors remain constant, running under the 2: 03 mark is very much possible.” The women's field will include Irina Mikitenko (2:19:19), Desiree Davila (her first full marathon since dropping out of the Olympics) and Kenya’s Florence Kiplagat (2009 Berlin champ). A Lot Goes Down At IOC Meeting On September 7th As They Will Choose A New President, The 2020 Olympic Host And 1 Sport To Be Added To The 2020 Games The favorites are Tokyo, Thomas Bach and wrestling. World 400m Champion Christine Ohuruogu Racing Over 150 Meters At Great North CityGames on September 14th She'll race US's Natasha Hastings and Jamaica’s 2004 Olympic sprint relay gold medallist Aleen Bailey. Good News For Road Racers: Road Races Might Have More Porta-Potties In The Future As The Industry Looks At How It Calculates Demand The new portable-toilet standards for road races are expected to be in place by next summer. A Legend Calls It A Career: Zurich Was Dwight Phillips' Last Competition - Goodbye, Dwight, And Thank You He retires with 4 world titles and one Olympic title to his name. A Look Back At When Tokyo Was Awarded 1964 Olympics Rome spent $30 million on the 1960 Games. The Japanese took it to another level and spent $1.9 billion. *Berlin ISTAF Results World Champion Mo Aman won the 800 over Duane Solomon. Dayron Robles with a win. Padua, Italy Recap: Dylan Armstrong Throws Far, LaShawn And Aries Merritt Both Win Andrew Wheating was 4th in the 800m in 1:47.33, Erik Sowinski was 3rd in 1:47.31. Emily Infeld 2nd in 1,500. On The Boards: Wheating Making Progress It's up for debate. Tuesday: Zagreb Preview IAAF David Oliver takes on his fellow medalists from Worlds, local hero Sandra Perkovic in the discus, Ryan Whiting and Dylan Armstrong in shot, great women's hurdles matchup with all the London medalists. Scathing Editorial In Kenyan Newspaper On Isaiah Kiplagat "The corridors of power at Athletics Kenya have been trampled by him ever since the year of our lord 1975 and the everlasting man has both created and weathered storms in these realms in different capacities." 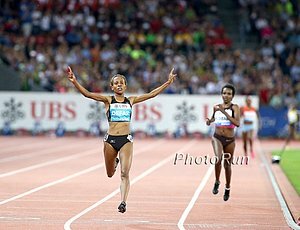 IAAF Full Meet Recap: Defar And Bondarenko Dazzle In Zurich Bondarenko hushed the crowd and then made 1 WR attempt. MB: SYMMONDS 1:43.56 FTW in Zurich, out in 50.52. MB: Caster Semenya has gotten HUGE! LRC M Steeple: Hillary Yego Wins As Conseslus Kipruto Manages To Hang On To DL Title The big names struggled here, making Evan Jager's decision not to steeple look a little bit wiser. *Gemili (10.06) Bemoans His "Rubbish" 100m In Zurich Bolt told Gemili to enjoy the big meets more and and not get nervous. 2014 Boston Marathon Registration To Begin On September 9th; Field Size Increased By 9,000 From Last Year This BAA press release includes the qualifying standards/process and says the race will have 36,000 official entrants this year. Comrades Marathon Race Director: "Comrades is an extremely hard race and hard is what makes it great." Swoosh Takeover: UK Athletics Switches Its Kit Supplier From Adidas To Nike After Adidas Loses Courtroom Challenge Adidas tried to stay GB's sponsor going to court arguing its current contract included a “matching rights” clause that gave it the right to match any rival offer when the deal came up for renewal, but they lost. Italian Doping Investigation On Asafa Powell And Sherone Simpson Delayed Due To Bureaucratic Problems Italian authorities have been unable to contact them to see if they want to be present when the substances confiscated from their hotel are tested. Stating The Obvious: Brendan Foster Says Mo Farah Is Not The Legend Haile Gebrselassie Was Geb took the sport to a new level. 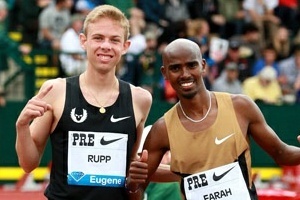 Mo Farah has been the best runner the last 3 years. Big difference. Mary Cain Blogs About Her Experience At Moscow World Champs, Which She Says "Was The Greatest Experience" Of Her Life She talks about how she laughed last year when Salazar told her she could make Worlds, the experience traveling and racing in Moscow and rooming with Jordan Hasay. Nike Aiming For A "Cleaner" Cross-Country Course For This Year's Nike High School Cross-Country Nationals Apparently last year it was so muddy, the top seeds were way back and the winning time was two minutes slower than a "normal" XC race. Extensive Gary Cohen Q&A With US's 1952 100m Olympic Champ Lindy Remigino Remigino talks about winning the 1952 Olympic 100, anchoring the 4 x 100m relay to gold, and much more. Interesting Theory: Professor's Take On Why Asafa Powell Can Run So Fast Today And Then So Slow Tomorrow He thinks it comes down to Powell's lack of endurance to get through multiple rounds or races close together. He says since he can't run the 200 because of his groin, he should run the 100 and 400 to work on endurance. Random Stat: Before 2003, The Fastest Marathon Ever Ran Was Only Known As A "World Best," Not A "World Record" The first "WR" was in at the Berlin Marathon in 2003 when Paul Tergat ran 2:04:55. Before that, the IAAF felt differences in courses made a WR impossible to judge. Khalid Khannouchi had the World Best before Tergat got the first official WR. Interesting: Infamous Drug Cheat Ben Johnson Talks To The Telegraph About Starting Up An Anti-Doping Campaign Always good for outrageous quotes, Johnson makes contradictory statements about his remorse for doping, talks about the mutual dislike between him and Carl Lewis, hints at taking partial credit for Usain Bolt's sprinting success and claims he'd lower the WR to 9.30 if he was competing today. MB: Awesome video: Félix Sánchez races 400 hurdles against a guy hurdling on his bike - how come now DQ?